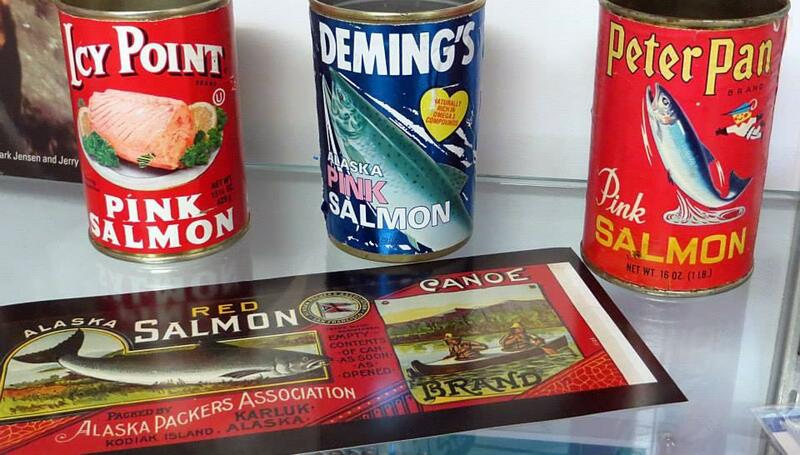 Despite the new ways of marketing and selling salmon, canned fish remains a major product in Bristol Bay. DILLINGHAM: In 2013, 38 percent of the salmon coming out of the bay was put into cans. But they aren’t flying off the shelves. LA Marketer Craig Caryl is working with the Alaska Seafood Marketing Institute to change that. “I think that canned salmon needs to be positioned with blueberries, literally, as a superfood," Caryl said. He’s not the only one who wants to see a resurgence in canned salmon. Weiss works for Crown Cork N Seal, which has worked on developing new, smaller, cans that he thinks are more appealing to consumers. But Weiss says there are challenges in getting that new can sold – from inefficiencies for processors in filling more smaller cans, to convincing stores to sell them. Caryl is trying to increase demand. His target audience? Millenial women, particularly pregnant women and new moms who might be interested in the health benefits of a can of fish, and also appreciate the sustainability of Alaska’s fisheries. Caryl’s wife is an integral part of that effort. Caryl hopes that a website with 30 or so recipes tested by his wife will hit home with the mommy bloggers who can spur purchases and eventually help salmon capture a little of the tuna market. “It’s changing people’s perception about them and driving the consumer into the shop and forcing the shop to say ‘hey, you know, we gotta move this off the bottom shelf and put this four feet high so people can see it.'"